These beautiful 4" x 6" state flags are crafted with intricate designs and screen-printed in a full range of bright, durable colors, attached to a small 10" plastic staff. The authentic designs are based on information from official sources. 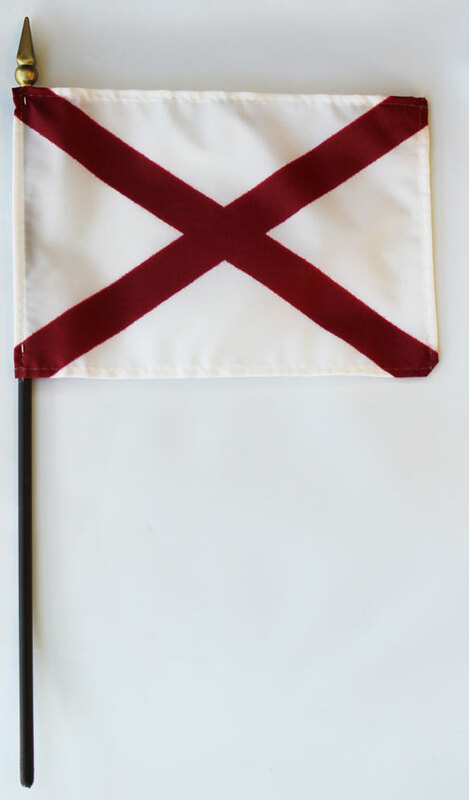 Bases are available for these stick flags in our ACCESSORIES section.